IT was in the year 1897 (?) when I heard that Swamiji (that is, Swami Vivekananda) had arrived at Calcutta. I went to see him in Baghbazar where he was staying with Shri Balaram Bose. On the first floor, facing the street, there was a hall where a few persons waited to have a darshana of the great Swami, who was in an adjacent room. I took my seat in a corner of the floor which was carpeted, and in a short while there came Miss Noble (Sister Nivedita) through one of the doors inside the hall. She wore an overall robe of pale saffron which came almost to her ankles and there was a necklace of holy rudraksha beads on her neck. As she entered the room barefooted she looked as pure as a goddess. She went with slow strides straight to the door adjoining the room in which Swamiji was resting; but then she knelt down beside the door-frame and folded her hands; her finger and palms joined to offer her obeisance to the Lord. She bowed down in this posture and then remained quietly sitting on her ankles with joined palms as we do while praying. But she did not enter the room in which Swamiji was sitting on a cot. Swamiji talked, with her for a while, and she also answered in a soft voice reverentially as if she was in a church. Then she again bowed down to the Swami and went away as silently as she had come. After a while Shri Vijayakrishna Goswami entered the hall with a few of his followers who had an earthen mridanga (long (drum) and cymbals with them. The party were seated at one corner of the hall, a little apart from the rest of the people who by this time had assembled there. As soon as Swamiji saw Shri Vijayakrishna, he left his room and came inside the hall and stood in the middle. Seeing the Swami, Shri Vijayakrishna and his party stood up as a mark of respect. Then Shri Vijayakrishna Goswami advanced a step or two and tried to take the dust from the feet of Swamiji. But Swamiji was too alert for it, and he himself bent down to take the dust from the feet of Shri Goswami. Simultaneously both of them avoided to be touched by the other, and again both of them tried to outdo the other in this form of homage. At last Swamiji took hold of Shri Goswami's hand and made him sit beside himself on the carpet in the middle of the floor. Shri Vijayakrishna was then in a great ecstatic mood and he looked like a man intoxicated with the love of God. A few minutes after, when he seemed normal, the Swami entreated him to speak a few words about Shri Ramakrishna. At this Shri Vijayakrishna was again choked with emotion and he slowly repealed the words several times with great effort: "Thakur (Shri Ramakrishna) has kindly blessed me." But he could speak no further due to his immense surge of devotion. We could see divine grace in his flushed face and ecstatic mood. He sat quiet and motionless and tears flowed from his eyes continuously for some time wetting his cheeks. At this the men who had come with him stood up and began sankirtana keeping him and the Swami in their centre. After some time Shri Goswami was able to stand up and though even then he seemed to be in a condition of half-awakened consciousness, his followers took him in their middle and moved slowly out of the hall. It was then that I bowed to the Swami from a distance. There was none to introduce me to him, but I felt very happy to be able to see him face to face. I thought that I was fortunate enough to see the great Swami, lionized in America for his great learning and oratory. I was a petty clerk in government service at Allahabad, but hearing about the Swami's return to India, I took leave from my office and went forth for his darshana. Thus I came to Calcutta where my elder brother lived and practised as a lawyer. Twice or thrice in the year I used to come to Calcutta, and I never lost the opportunity to know at a closer quarter the sannyasins of the Math, and the disciples of Shri Ramakrishna, for my own spiritual benefit. On a few occasions I had seen the Holy Mother but never asked her for initiation. A Brahmo friend of mine, Shri Narendra Nath Basu, got a touch of divine intoxication at the very first sight of Mother's holy feet. By her grace he got his initiation soon along with his wife. It is this friend of mine who came to me with the information that Swamiji was in the house of Balaram Babu. It was due to the kindness of this friend of mine that I own this fortune of seeing the Swami in person for the first time in my life. I was born in an era which is difficult to be understood today by a generation which is so much removed from the ingrained thoughts of those times which now may have become meaningless. But then I also was so much influenced by the Brahminic ideas that prevented me to touch the feet of even a sannyasin born of the Kayastha caste. I am not ashamed to confess today that to me on that day Swamiji was not an exception to this rule. But the Swami spoke a few words to me in a kind voice and in a few minutes my Brahminic barriers seemed to be vanishing altogether. It was in the last week of December when one morning I went to Belur. I found Swamiji standing near the open yard in front of the kitchen. On his head there was a woollen cap of gerua colour (ochre-brown). On his body there was a woollen dressing gown with large black checks on a white background. His complexion was fair, but his skin looked fairer due to a peculiar brilliance and softness in it. The most attractive part of this fine personality was his eyes. He had large expressive eyes. I have never come across another pair of such fine eyes. were served on the table, and then Swamiji fell into a conversational mood. He asked me where I lived and what I did. I answered him pertinently. ...Then he went elsewhere and I also moved about with other Swamis of my acquaintance. Thus some time passed till it was about ten. Swamiji said, "In America, outside my room there was a private letter box. I used to lock it up. Occasionally in the day. I opened it myself. Various were the letters that I used to get from all sorts of people. Many of them were threats from unknown persons. They asked me to stop preaching Hinduism. But sometimes I received letters of admiration and praise. Most of them were written by women. A few of them also contained proposals for marriage. There had been other occasions when some influential ladies expressed the desire to get me married to some rich woman and settle down in America. I had to explain to them that Indian monks do not marry. But it was difficult for them to be convinced as some padres did marry in their country, and so they asked why should not I." In the course of his conversation he spoke of one peculiar incident which to roe seemed very strange, and Swamiji also did not try to explain the phenomenon. He said, "I was then travelling from city to city and addressing many gatherings even in a single day. One day I was thinking that I had spoken on all the topics that I knew about. I was to address a meeting the next day and I was sorry that this time I would speak something that might be a repetition of some former lecture. This I wanted to avoid. It was late at night. I was sitting on an easy chair quite relaxed. In my mind I was accusing the Master for this predicament of mine. Suddenly I heard him speaking to me. At that moment I had closed my eyes and I could not see him. I only heard his voice. He went on speaking for some time at length and said, 'You should speak thus — and thus — and don't worry at all.' I was very much astonished. But I was glad to learn about the topics of my next lecture. There was even more astonishment in store for me. Next day in the morning a gentleman living in a room adjacent to mine asked me. 'Who was talking to you yesterday? I couldn't follow anything because the language was new to me.' Now, the language that I heard was Bengali. I wondered how could this man also hear it." Swamiji continued. "Once I was asked in America to deliver a lecture on my guru. I told them that Shri Ramakrishna could not touch even a copper coin, what to say of gold or silver. It was true not only in the figurative sense but true literally. If he touched a metal coin inadvertently, his fingers cramped and the hand recoiled as if his nervous system rejected the touch instinctively. The contact would give him actual physical pain, and it was so intense that he would cry out even in sleep. One night the Master was asleep when I took a silver rupee and touched him with it. It had an instantaneous effect. Shri Ramakrishna wokeup. It was evident that he was anguished with pain, and I was ashamed of my childish act." Then Rakhal Maharaj requested Swamiji to write a life history of the Master. At this Swamiji winced and said, "I cannot do it. It is not for me to attempt such a difficult task. In the hand of a bad artist even the picture of Shiva may appear to be that of a monkey." At this Rakhal Maharaj said. "If you say so, then the task will remain undone." But Swamiji answered, "If Thakur wishes it, some one else shall accomplish it." For the time, his brother-disciples dispersed leaving the Swami seated there atone, who now turned to me and started a casual conversation. "So you live at Allahabad, isn't it? Do you know Doctor Nandi? When I was at Jhusi, I used to go to his house for bhiksha (alms). I knew him very well." Dr. Nandi was a devotee of Shri Ramakrishna. We liked him and there was some acquaintance between us through this common bond. As far as I know, Dr. Nandi had seen Shri Ramakrishna. But I loved him because he had known Swami Vivekananda personally. He had told us that Swami Vivekananda, the chief disciple of Shri Ramakrishna, once stayed for some time on the other side of the Ganga where there were many kuthias (thatched houses) for wandering monks. Swamiji was then a parivrajaka Sannyasin (itinerant monk). It was summer and the days were very hot. Often there was a hot breeze, locally known as the loo. Swamiji even in those hot days wore half of a coarse blanket as a bahirvasa (outer garment) and half of it covered his upper body. He walked barefooted to and from the house of Dr. Nandi. This time I went to Belur quite often. Many men, young and old, used to come to Belur for a darshana of Swamiji. But it was not so easy to see the Swami at all hours of the day. Mostly he remained in his own room, and he was seldom disturbed even by his gurubhais. It was well known that often he was absorbed in his moods of tranquillity, and then it pained him to talk on affairs alien to his own mood. So the custom was that people saw him and could talk to him when he came down from the upper storey of his own accord, and then the visitors also were allowed to go to him without any restriction. One morning Swamiji's mother came to see him. Her very appearance commanded respect. She was a strongly built lady with large fine eyes with long eyelashes. She had a remarkably strong personality that made her obeyed without any questioning. No wonder that Swamiji had inherited these qualities from her. She went up to the verandah of the first storey and cried aloud "Viloo-oo", and her child came out of the room at once. 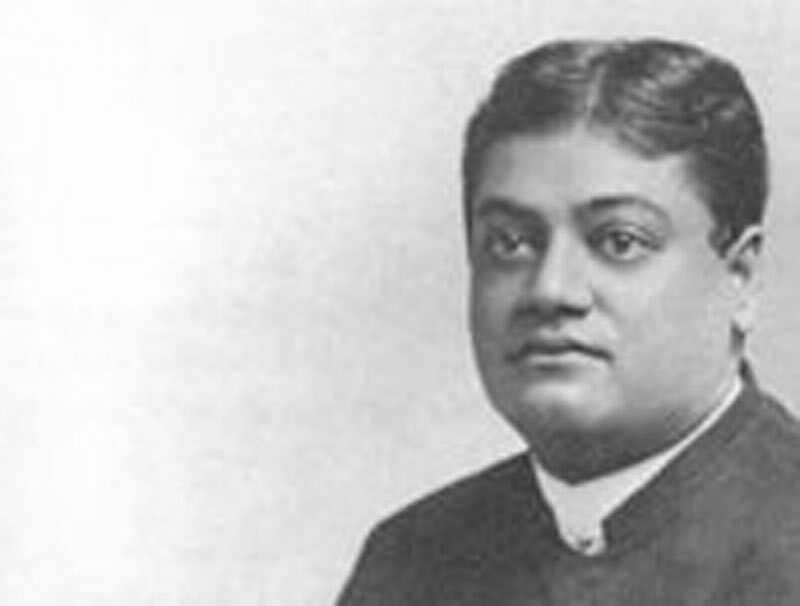 The great Vivekananda was just like a teen-aged son to his mother. He descended the stairs along with Bhuvaneswari Devi, and then they walked in the garden-path together and conversed softly on personal matters. During the last few years whenever Swamiji was at Calcutta he would go himself to his mother. While at Belur he would occasionally visit his mother at Calcutta, but if perchance he could not go to her for a week or two she would herself come down to Belur to see him and also ask his advice on family matters. It was about four in the afternoon when one day the Japanese Consul came to meet the Swami at Belur. He was asked to be seated on one of the benches inside the inner verandah where generally Swamiji received his guests. He was informed of the honourable guest, but he had to wait for some time before the Swami came down. It depended on Swamiji's mood altogether whether he would meet a person, however important, instantly or at some more convenient time. On that occasion the Consul had been kept waiting for quite a long time as Swamiji came when it was wont for him to take his evening walk. He took a chair near the Consul and the conversation took place through an interpreter. After the formal greetings the Consul spoke to his purport: "Our Mikado is very keen to receive you in Japan. He has sent me to request you to visit Japan as early as may be convenient to you. Japan is eager to hear about Hindu religion from your lips." Swamiji answered, "In my present state of health I think it will not be possible for me to visit Japan now." The Consul said, "Then, may I with your permission inform the Mikado that you will go there some time in future when your health permits?" Swamiji said, "It is very doubtful whether this body will ever be fit enough." At the lime, Swamiji was suffering from diabetes. His body was quite emaciated. He was not so ill when I had seen him for the first time. Shortly after, I returned to Allahabad. But soon I availed an opportunity to go to Calcutta and proceeded to Belur in the hope of seeing the Swami. To my utter disappointment he had gone elsewhere for the time. Next to Swamiji, Raja Maharaj or Rakhal Maharaj was the head of the Order. I was well known to him; yet I felt him at the time to be rather distant and aloof from me. He was often absorbed in his own spiritual moods and was not very accessible to easy conversation. I had heard about his great spiritual attainments. He often had samadhi, and he was beyond the reach of my understanding. I sat near him while he remained quiet for some time after we exchanged a few casual words of greeting. I was thinking of a few problems that I wanted to solve through his help. But I did not speak, thinking if he was a great divine soul he would know them without my telling him. Suddenly Rakhal Maharaj said to me. "Come with me, let us have a walk." It was not yet dusk. The path led to one of the gates of the Math on one side and the river Ganga on the other. The temples were not built then. There were a few buildings only. Most of the place was open. There were a few shrubs and trees and we went up to the gate that led to the jetty and then turned back. Thus we strolled for a little while and Rakhal Maharaj did all the talking and to my great wonder he touched all the three problems of mine, one by one, and they were solved to my satisfaction. Then Rakhal Maharaj took me to the ghat of the Ganga just facing the Math on one side and he took his seat on one of the steps and asked me to sit beside him. I also sat on a step near his feet. I was at that moment overwhelmed with an emotion akin to devotion and wished to surrender myself to him completely. So I entreated him to give me initiation formally. He kept quiet for some time. Then he spoke slowly. "Your guru is Vivekananda, not I." It extinguished my hopes of ever being initiated as I knew that Swamiji had initiated very few persons, and to be one among his disciples was a dream to me, never to be realized. So, I was absolutely disappointed and returned to Allahabad in a few days. Next time when I went to Belur, Swamiji's health seemed to be a little improved and he was in good cheer. One day I had gone to Belur in the morning. Some one told me that Swamiji was in the puja (worship) room of Shri Thakur. I went up the stairs and saw Swamiji in a divine ecstasy. He was pacing from one end to the other inside the covered verandah just in front of the worship room. His hands were sometimes swinging and sometimes crossed above his breast as was his wont. He paced rapidly and his gait was in jerk-like motion. His face seemed red with an intense emotion which he was trying to suppress....I heard him constantly muttering very audibly: Then, all his mind was turned inwards and he was very restless as if he was keeping a watch before his ideal Shri Rama-Janaki, as Mahavira. He seemed to be a completely dedicated soul to Shri Ramakrishna, but his will was full of explosive possibilities and he was determined to do even the impossible for the sake of the service of the Lord. That afternoon some young men had come to see Swamiji. They were about ten or twelve and most of them might be college students. They had assembled on the verandah facing the Ganga on the first floor before Swamiji's room. Swamiji came out after a short time and talked with them very freely. He was so jovial that he himself looked like them — quite young and enthusiastic. He talked to one, touched another on his back. or mildly slapped some other at the shoulder. It was a pleasing sight to see him in this mood for most often that I had seen him he was full of gravity and seriousness. There was a solid gold chain, around his neck. attached to a gold watch in his pocket, and it matched very nicely with his fair complexion. One of the young men touched the chain with his fingers and said, "It is very beautiful." At once Swamiji took the watch out of his pocket and put the chain with the gold watch in the hand of that youth who in amazement had then cupped his palms. He said, "You like it! Then it is yours. But my boy. do not sell it. Keep it with you as a souvenir" Needless to say that the young man was extremely happy. I marvelled at the ease with which Swamiji could part with such a valuable thing; not only for its cost but the present was also invaluable for its association. Once he had said before me, "Sacrifice means the sacrifice of something you possess. A man who has everything in his possession and yet is indifferent to them is a truly detached soul. The man who has nothing is only poor — what can he give?" During the Christmas holidays some scholars came from Agra. A few of them were professors. It was about nine o'clock in the morning. Inside the courtyard of the Math there were a few ordinary benches on which the visitors were seated while Swamiji took a chair near them. The college dons put their questions one by one and Swamiji answered them with due gravity. The problems were various, some philosophical and some social or political. They seemed to be quite satisfied and after a while they all went away. I was sitting at a little distance and tried to follow the trend of the conversation. Swamiji would occasionally look at me which made me feel at home. It was then about twelve in the noon. Suddenly the Swami asked me. "Sadhu Amulya lives at Allahabad. Do you know him? How does he do? Tell me all about him." I said, "I know him for many years. He used to serve all without any self-interest. His courage and spirit of service endeared him to all. Once there was an epidemic of cholera and he nursed the helpless and the needy without the least fear of his life. So he was loved by the rich and the poor who considered him as a congenial friend in times of distress." Sadhuji was the name given to Amulya who then wore white robes as do the Bramhacharins, But later on he put on gerua clothes. By some he was then called guruji. Many of his devotees were addicts to ganja, charas and bhang. They offered him these and when guruji had smoked a little, they got the prasada. By and by he began to drink, and women of questionable character also visited him. After some time he left all clothes and lived like Nagas. When I saw him last he was a fully fallen man. On hearing this sorry tale of Amulya, Swamiji kept silent for some time. Then he said, "Ah! a great soul — a great soul!" He added, "For him this life is lost. But he shall be free in his next birth. Amulya used to read with me in the college. He was a good student. He had a wide vision and was a follower of the path of knowledge.... Sadhu Amulya had no spiritual guru. When the disciple takes a wrong move and is about to fall, it is the spiritual guide who guards him and the disciple regains his balance." I could see that Swamiji was visibly moved. He was very sympathetic. Though I knew him to be a great moralist, yet his love for the fallen made me wonder at his nature which was stern from outside but very tender within. Then he addressed me, "Manmatha, this time when you go to Allahabad, go to Amulya and tell him that it is I who sent you to ask what he wants. Whatever be the things that he asks of you, make it a point to supply him with them." Accordingly, a few days after I went to guruji and said, "Sir, Swamiji has asked me to come to you. otherwise I would not come to you at all. Please tell me what are the things that you need." He seemed not to mind my taunt and exclaimed with a beaming face. "What! Swamiji has sent you — Swamiji? What did he say of me?" I reported all that I had heard him say. For some time he was silent with an emotion that overwhelmed him, and he tried to suppress it. Then he said, "Bring me about four seers of ghee from cow's milk, and some fruits." In a few days I brought these to him and he expressed his satisfaction. That was the last that I saw him. In a few weeks I came to know of his death. Most probably Sadhu Amulya left his life by not taking any food at all. He was a peculiar combination of a raja-yogi and an Aghori (of the Tantrika school). Perhaps he took nothing after I saw him except the little present I had made to him in the name of Swamiji. After telling me about Sadhu Amulya, Swamiji asked me, "What is that you want to know from me? You may put any question you like." I said, "I have seen your lectures on maya. It has appealed to me. But I have not understood it. Please let me know what is maya. For a while he was silent. Then he said, "If you have anything else to know, you can ask me." I said, "Sir, I have nothing more to ask. If a knower of Brahman like you cannot enlighten me, then it will remain a closed book to me during this life." At this Swamiji began a discourse on maya. He was speaking fast and I followed his words and the logic. By and by, my mind lost the contact of the sense-organs. I experienced a subtle world around me which was much finer than the gross world. I could see with my open eyes the Math, the trees, and everything before me vibrating. If you look above a large fire you can see a vibration. The objects were oscillating and vibrating before my eyes just like that. I was conscious of my uncommon experience and asked myself, "What is this that I see?" I looked around me and saw there was vibration everywhere. Slowly even Swamiji vanished from my eyes. Even then I could hear his voice, but I did not follow its meaning. Then suddenly I was aware of a vibration within my brain and there was only the void. Again I could see and hear the Swami and then followed the meaning as well. But my mind was conscious of my ego, and it no more exerted as it did before as I thought that I knew the meaning of maya. I, who never had the courage to speak before the Swami, considered myself a bubble in the ocean of maya in which the Swami was also another. The difference was lost to me for the moment. The giant personality of the Swami and his great spiritual power and everything seemed to be a coincidence in the ocean that Swamiji called maya. But it was nothing but an undivided chit — the Cosmic Consciousness. Then I said, "Swamiji, you are also in the maya. Your activities of the Math, schools, daridra-narayanaseva (service of God in the poor), hospitals, the Mission — everything is maya. What is the need of all this? You yourself are within the meshes of maya." At this he smiled and kept quiet for some time. It was through his grace that I considered myself as one with the maya. And now again I entered the little shell of my own self. I saw the Math, the Swami, and everything once again in its true perspective, i.e. the one I was used to have before this experience. A little time before I had spoken with a high pitched voice and that in a piquant manner, and now I was ashamed of having done so. Swamiji and myself were not of the same substance any more and I felt the vast difference. Swamiji must have known that now I was normal once again. Then, he said. "Yes; you have said aright. I am playing with maya. If you do not like this play of maya, you can go to a deep cave of the Himalayas. There you can get yourself lost in, tapasya (spiritual effort)." It was high time for lunch and everyone was kept waiting. Swamiji stood up and I fell prostrate at his feel. He was Shiva in person, and I touched his feet. It was then that I had the desire to have prasada from Swamiji. But I said nothing. Swamiji was pacing in front of the open verandah before the store-room. He went to the room and took an apple and asked for a knife from a Bramhacharin. Slowly he peeled the apple and then cut a slice. He came near me and offered the slice to me. I was gratified. Then he took a piece himself. Then I wished to have anna-prasada from Swamiji. A little later when we were all seated for the midday lunch. Swamiji asked a Bramhacharin to come to him and he said. "Take this cooked rice to Manmatha." It had been offered to Shri Ramakrishna. When the midday meal was over everyone retired to his respective room and Swamiji also went to his own room. But he had little rest even then. He was very busy in framing the rules and regulations of the Math. Somehow he was apprehensive of his approaching death and he wanted to lay down the principles for the future guidance of the Sannyasins of the Order. I stayed at the Math that day and also the night. Next morning I went to Swamiji to offer my obeisance. He was standing near the door of his room while I bowed down before him. He said, "Go to the Ganga and have a dip. Then come soon to me." His face was beaming with kind benediction, and I knew at once that he was in a mood to shower his grace. My heart beat fast as I understood this to be his permission to be initiated. I was as happy as a teen-aged boy and literally ran to have a dip, so impatient was I. Unless Swamiji was filled with gurubhava (attitude of the teacher) which they called the mood of Shri Ramakrishna himself, he would not initiate any one. When I returned I found him lying on his back on a sofa. He let fall his right hand loosely and said, "Hold my hand." I sat down on the floor and held him at the wrist. His body had emaciated, yet his wrist was broad and in spite of my grip there remained a gap of about half a finger. Swamiji closed his eyes and lay motionless. Time passed and I held him as a young child. It seemed to me that his personality engulfed me. but I tried to retain my consciousness. For a fraction of a second it seemed to have vanished completely. Then he sat up. Swamiji got down from the sofa and stood in the room. He pointed to a carpet and asked me to sit on it. At a short distance there was another carpet and Swamiji took his seat on it. When I followed him, he said, "In dream you have seen the Mother as Kumari. But henceforth you should meditate on Her as of the Shodashi form — like." As he said this I could vividly visualize the image and at the moment I did not wonder at this at all. About the vision I had never spoken to any soul. yet he knew it, and I did not marvel for I had taken it for granted that he knew everything. In my dream, many years before, I had seen seven maids. The tallest was a maid of eleven and the smallest and youngest only five. The difference of age and height decreased in a graded manner and all were very beautiful divine persons. Each of them had a gold crown and they were dressed in very fine garments and ornaments. But they had all the brightness of the goddesses. They emerged one by one from one side and moved forward on before me to vanish at a small distance. The vision was so vivid that the images left a permanent impression in my memory. Swamiji went on, "After some time you saw Mahadeva in your vision. He had the trident in His hand and He gave you this mantra.... From that time on you performed that japa." It was many years after the first one that I had this dream. He said. "But from now onwards your mantra is this." ... He repeated the bija-mantra of the Mother thrice, aloud. And I saw before me a full size divine figure of the classical image with the tongue lolling out. I asked him, "Shall I have to meditate on Her like that?" He said. "If you wish, you can think of Her with the tongue in. "And he smiled. After this he gave me certain hints about initiation and the process of sadhana that I was to practise. He gave me the mantra for the worship of the guru and showed me the centres for nyasa. He said, "First of all perform the menial obeisance, then visualize your guru as vividly as you can. For this, sahasrara (thousand-petalled lotus in the brain) is the best place. After this the mantra of the chosen deity should be slowly repeated and Her image should be meditated in the heart. "In offering the mental worship, first of all meditate on the feet, then slowly go upwards till you come to the face, and then meditate on the face. When meditation will be deep, there will he no hands or feet. As long as you see the form, the nirvikalpa plane cannot be reached. But do not hurry. You must go slowly and across the stages one by one. Otherwise it may take a much longer time." After my initiation was thus over, he said, "Sit here, beside me, and meditate. Practise meditation every day without fail, however busy you may be. It must be done even for a short time, say for a few minutes. If you do not find time otherwise you may do it in the bathroom. Even that will do." The last time that I saw him was a few months before his passing away. There were many occasions when I went to Belur between my initiation and the beginning of January 1902. As the impressions were not written at the time, the exact dates are not possible to give now. But some of the things that I heard from him I shall try to present here. Once he said, "This body will never be fit again. I shall have to leave it and bring another body to complete the work. There are many things that remain undone." On a previous occasion he had said in a divine mood. "I do not want mukti (liberation). As long as there shall be one soul left. I have to come again and again." The internal condition of China was politically very wretched. The European powers wanted to divide China among them. Japan also joined them in this exploitation and attacked China. One day I asked Swamiji. "China is such an old country. Do you think this ancient country with its civilization will die out?" He was silent for a while. Then he said. "I see before me the body of an elephant. There is a foal within. But it is a lion-cub that comes out of it. It will grow in future and China shall become great and powerful." Of Indian freedom, he said, "Our country shall be free. But not with bloodshed. There is a great future for India after her independence." At the time he did not say when, but from another brother-disciple I had learnt later that he had said that India would be free within fifty-years. Once I asked, "What will happen if I do not follow your behest and fall?" He said. "Go and fall to the very depth of abyss. It is I who shall raise you by the tuft of your hair. There is no power on this earth to keep you fallen. At one time he remarked casually. "There are many souls that will come in future. They shall be free from birth and some shall become free even by hearing the name of Shri Ramakrishna. He had said. "I want a band of Sannyasins for my work. But some good parents must constitute the nucleus of a better order of things. From this shall originate the future society to outshine the past glory of India." Here are a few incidents that I heard from Swamiji which have been referred to by others. But I give the details as I heard. Swamiji said, "Then I used to beg my food from door to door in the Himalayas. Most of the time I spent in spiritual practices which were rigorous; and the food that was available was very coarse, and often that too was insufficient to appease the hunger. One day I thought that my life was useless. These hill people are very poor themselves. They cannot feed their own children and family properly. Yet they try to save a little for me. Then what is the use of such a life? I stopped going out for food. Two days thus passed without any food. Whenever I was thirsty I drank the water of the streams using my palms as a cup. Then I entered a deep jungle. There I meditated sitting on a piece of stone. My eyes were open, and suddenly I was aware of the presence of a striped tiger of a large size. It looked at me with its shining eyes. I thought, 'At long last I shall find peace and this animal its food. It is enough that this body will be of some service to this creature." I shut my eyes and waited for it, but a few seconds passed and I was not attacked. So, I opened my eyes and saw it receding in the forest. I was sorry for it and then smiled, for I knew it was the Master who was saving me till his work be done." Here are a few of his remarks about the national traits of America and India. These were casual observations during his talks and discourses in a conversational mood. "In America I found them to be full of rajo-guna. They will now try to proceed to sattva-guna. All Europe is predominantly active in achieving material success but America leads them all in this respect." "Bharata was sattva-pradhana during the days of rishis. Even now inside the bone and marrow India is still sattva-guni. Among all the nations of the world Bharata is still sattvika — more so than any one else — but on the outer shell it has become full of tamas. For a long time they have been passing through a great storm, and their bad days have not ended yet. It is hunger that is killing the nation, and the whole race is dying out slowly. Our duty is to give them food and education." Once he said, "In America the beds are very soft and cozy. You do not even see such things here. But there have been many nights when I could not sleep in those soft beds thinking of the extreme poverty of my own people. I have then passed nights on the floor tossing, without any sleep or rest." "To change the condition of India she must be fed and clothed properly. People must get education. The poor are the narayanas. They must be served with food and education." "The Indians are religious inside. For want of food and clothing the spiritual fire has dimmed. When there will be no want and they get some education, the spiritual fire will blaze once more." "Do not talk and think too much of child-marriage, widow-marriage, etc. When women get proper education and are enlightened, they will solve their own problems themselves." About brahmacharya and medhu he seemed to have the orthodox view. I heard him say on his wonderful power of retentive memory in this manner. "If a man can be continent for twelve years, he can have extraordinary memory. One must be celibate and keep his brahmacharya absolutely even in his dream." He had once told me. "You must know that the Sannyasin is the guru of the householders. Even if you but see the gerua (ochre cloth) bow down to it in reverence. Think of your own guru and pay your respect whether the person is fit or unfit. Keep the ideal of renunciation before you and gerua should remind you of the highest renunciation and knowledge." To me he advised, "Choose one path. Do not keep your feet in two boats." He wanted me to become a Sannyasin or a householder. At that time was I unmarried. Later on. I chose to be a householder. One day we were sitting in the right hand room of the Math facing the Ganga. It was generally called the music-room. Sadhu Nag Mahashaya entered the room. He had a dhoti and a shirt on. His dress was anything but neat. His hair was unkempt. His eyes were a little red as if he was intoxicated and the look was rather vacant. He stood near the door within the room and with folded hands said, "You are Narayana — Narayana in a human form. The Master said so. My salutations to you." For some time he stood there as still as a statue. Swamiji looked at us and said, "Look, engrave this scene in your memory. You will never see this again." Now I think it must have been a state of samadhi. When Nag Mahashaya opened his eyes again, Swamiji said, "Please, tell them something of the Master." Swamiji did not rise himself nor did he ask him to sit. Such attempt would have jarred the ecstatic mood in which he was at that time, and Nag Mahashaya himself would have been very uncomfortable. Sadhu Nag Mahashaya suddenly smiled the heavenly smile of the gods who have the vision of Shiva's world. He half raised his right hand and said, "It is this, it is this." Every one felt a charge of spiritual energy and the atmosphere of the room was tense with awe and reverence. Then he went out as suddenly as he had come.